In the following post, we shed light on what Magento 2 Page Builder is and how to import/export all the corresponding data. Unfortunately, you cannot transfer anything to/from the tool via default Magento 2 means. Thus, it is necessary to install a third-party extension. 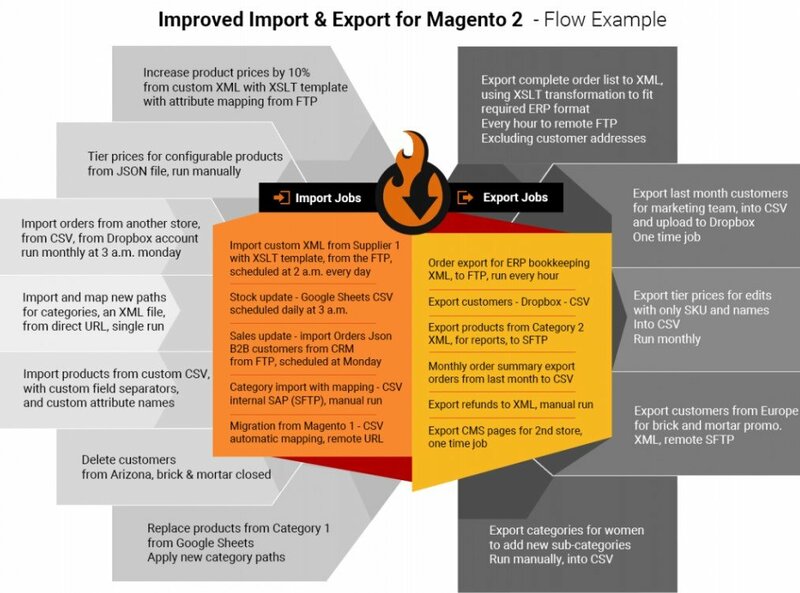 Below, we shed light on the most intuitive and easy to use solution, so you will discover how to import and export Page Builder-related information to and from Magento 2 most efficiently. Since the 2.3 version, Magento 2 includes a powerful page builder. Being a part of the core code, it represents the standard functionality of the platform. With the help of the renewed CMS and Page Builder module, you can create and customize pages in the most intuitive way – no coding skills are required. You’ve been waiting for this feature so long, haven’t you? Page Builder offers a vast variety of options providing you with the extended flexibility and multiple content types that can be modified. Customize everything from product pages to blog articles. And if you need to transfer the modified content to another system, continue reading this article – below, we shed light on how to do that in the most user-friendly manner, but let’s return to our mutton. Let’s figure out why Page Builder is so crucial for your e-commerce storefront. The first feature that dramatically simplifies the way you customize the frontend appearance of your store is the drag and drop functionality of Magento 2 Page Builder. Thus, the solution is much more oriented towards its users than the standard WYSIWYG editor. Customize headers, images, products, and anything else within a few clicks using the intuitive drag and drop interface of Magento 2 Page Builder. With the release of 2.3, you get the ability to create more complex designs and better functionality without any help from third parties. Furthermore, neither your technical specialists and developers are necessary. A feature that is tightly combined with the drag and drop functionality is the grid system of Page Builder. It lets you divide any store page into various segments where you put content. You can customize the number and size of page cells applying any custom appearance for the frontend. Multiple visual effects are introduced in the admin section of Page Builder. It’s up to you to use them or leave disabled, but the tool provides several rich improvements to the way content is displayed on your website. Page Builder is wholly integrated with the standard Magento 2 functionality so that you can use the default features more intuitively. For instance, it lets you place images from the gallery within a few clicks selecting the best place on a page. Let’s see what other features are available at the moment. The ability to integrate products into other pages and elements is another essential addition to the standard functionality of Magento 2 introduced with Page Builder. As mentioned above, you no longer need neither technical specialists nor coding skills to improve the frontend appearance of your e-commerce website. Blog posts and promotion pages offer features related to products integration. With the help of Page Builder, you only need to drag and drop products to the selected pages to provide store visitors with advanced shopping functionality. The need to write complex code to achieve the same goal is ultimately reduced. The static blocks integration represents the ability to add corresponding frontend elements to various store pages. As a result, the opportunity to apply any custom design to your website in the easiest and fastest way is at your disposal. And products are not the only object of flexible integrations. Page Builder lets you embed an array of various third-party elements. For instance, you can effortlessly add YouTube and Vimeo videos or even Google Maps to product pages, categories, and blog posts. And there are multiple more elements to be explored. When you’ve finished the backend configuration, Page Builder lets you preview the new appearance within one click. Hit the corresponding button to see how your customers will look at the changes. If something seems wrong at this stage, nobody can see it. Furthermore, it is possible to schedule changes for a specific date. Going to create a new Halloween design in advance but want to apply the changes right on time? It is no longer a problem. Schedule the rebuild designed for October 31, and all the changes will be applied automatically. Does it mean that you should fire your technical specialist after 2.3 is released? We don’t think so since there are always some complicated tasks any drag and drop interface won’t be able to cope with. But for small and midsized merchants, Page Builder is a real budget and time-saver. If you are looking for a more in-depth exploration of Magento Page Builder, watch the following video. It describes various technical nuances of the tool. Since Magento Page Builder is built on top of Bluefoot CMS, we should pay separate attention to this platform. By offering a powerful set of tools, Bluefoot helps you create and manage content on your e-commerce store. It covers a rich spectrum of content from product descriptions to blogs posts. Bluefoot is perfect for all categories of Magento users: merchants, retailers, agencies, and developers. Its only aim is to empower Magento users to create fantastic content quickly and easily when you can completely avoid the need for other third-party platforms, systems, and specialists. Drag & Drop. You can completely replace the standard Magento WYSIWYG editor with a more user-friendly and powerful tool. BlueFoot incorporates a simple, intuitive drag and drop system developed to create complex designs and functionality without the need for technical expertise. You no longer have to be limited by the standard tool or the inability to afford third-party specialist: all the necessary improvements can be applied in a new and intuitive manner. Extensibility. And you can achieve even more power due to the advanced extensibility of Bluefoot. If the tool lacks some features vital for your particular business case, any competent Magento developer can easily implement them. The same is about Magento Page Builder! All code within Bluefoot is unencrypted, so feel free to apply any changes to its functionality. Page Builder is used in CMS pages and CMS blocks for composing content. As mentioned above, you need a third-party module to extend the default functionality of Magento to import/export Page Builder data, precisely CMS blocks and pages. What tool do we recommend? It is hard to find a reliable import/export solution that satisfies all business needs. The lack of a fully-featured extension motivated us to create our own solution, so meet the Improved Import & Export Magento 2 extension – your number one time saver when it comes to all possible data transfers. We will describe its features in more detail later, so let’s take a look at how to import and export Page Builder data. The Improved Import & Export extension lets you transfer most Magento 2 entities including static blocks and static pages that have been build using Magento 2 Page Builder. 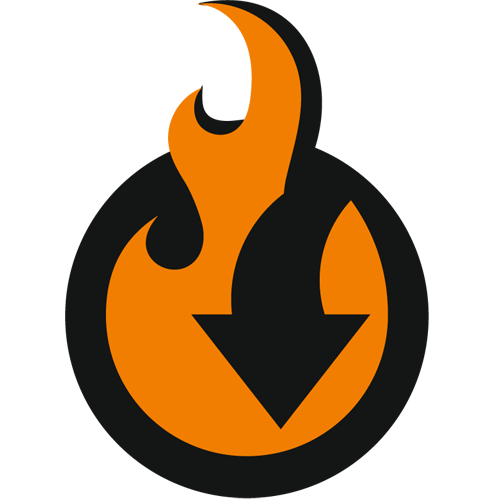 If you don’t want to spend time on recreating all the customizations applied to your current store on a new one, give Firebear module a try. Configure General Settings and proceed to the Import Settings section. Here, you can select ‘CMS blocks’ or ‘CMS pages’ from the Entity drop-down. As for the Magento 2 Page Builder data export, the process is absolutely the same. You can configure it under System -> Improved Import / Export -> Export Jobs. REMEMBER: Improved Import and Export extension supports import and export of the CMS blocks and CMS pages composed with Page Builder. There are no limitations or prerequisites to such processes. Every block or page composed with page builder will preserve every element during the export process, and will import the data back to Magento 2 during import. Now, let’s explore the Improved Import & Export extension and the way it simplifies the Magento 2 Page Builder data transfers. Let’s start with the automation of data transfers. The Improved Import & Export extension offers two ways of automation. You can either create an update schedule or specify an event that is considered a trigger and launches a corresponding import or export process. Both features have a slightly different impact and implementation, so you can always choose one that is more suitable for your needs. The Improved Import & Export Magento 2 extension supports cron allowing you to create any custom update schedule on its basis. It is only necessary to apply its default syntax, but the option is not mandatory. If you don’t want to do that, there is an alternative solution. Select one of the predefined intervals, which are fully customizable as well. Alternatively, our module allows creating profiles that have no schedules. If you don’t need frequent updates or a single data transfer is required, use this feature. Besides, you can leverage it for asynchronous updates. At the same time, every profile can be launched manually despite any automation whenever you want. Thus, if a data update is provided with a delay, import it manually reducing the negative consequences caused by a too long wait. As for another way of automation – events – the Improved Import & Export extension also offers several handy improvements. You can either select one of the system events or specify a custom one. After choosing a trigger, create conditions to make its work more precise and efficient. For further information about the feature, follow this link: How to Run Magento 2 Import or Export After Specific System Event or Process. Now, it is necessary to describe the core mapping features of our module. While the synchronization between Magento 2 stores is always seamless, the connection to external systems may be prevented by different attribute standards. Below, we shed light on how our module solves the problem. The Improved Import & Export Magento 2 extension provides the ability to fix the issue within just a few clicks. To solve the problem of different attribute standards, you need to select and apply a preset related to your integration. Next, the plugin will analyze the input data matching all third-party attributes to the corresponding ones used internally. And don’t miss the opportunity to determine hardcoded attribute values. As you might have noticed, the grid above consists of three columns. The third one allows setting an attribute value so that all items related to the attribute get the specified designation. Another feature that is worth mentioning here is attribute values mapping. Although third-party attribute values don’t prevent import processes (but there are some exceptions), they require a lot of time for editing after the update is transferred. With the Improved Import & Export Magento 2 extension, it is no longer a problem. The process is based on the same logic as the attributes matching described above and requires minimum time. Of course, it is not as fast as selecting a preset, but a way more quickly than doing everything in a data file or your admin. 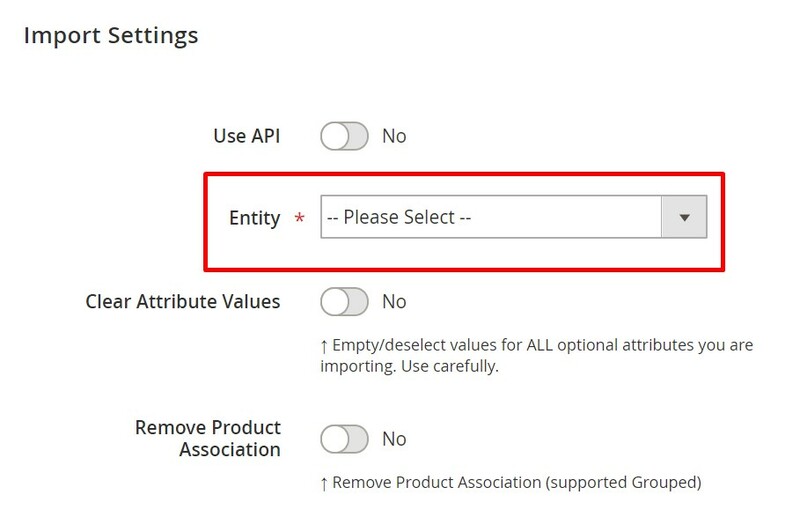 Select a third-party designation and specify the internal one in front of it. Repeat the process for all third-party attributes. That’s it. For further information about the feature, follow this link: Attribute Values Mapping. Merge values that are divided into several parts. Note that you can combine these rules as well as create special conditions to make their use more precise. The following article explains attribute values editing in more detail: How to Modify Attribute Values During Import and Export in Magento 2. At the same time, it is even possible to create new categories on the fly. The process consists of two steps: select a parent category and specifying the name of a new one. Both features are described here: Category Mapping. The full process is described in this article: Product attributes import. Although the data synchronization between Magento 2 and other platforms is based on data files by default, there are several more way of integrating your e-commerce store with other platforms if you use Improved Import & Export. The extension essentially increases the number of supported file formats. Magento is bound to CSV only. In its turn, our tool adds support for XML, JSON, ODS, and Excel. You can freely import and export data in these formats applying all the extension’s features. Since we are talking about file transfers, let’s see what file sources the Improved Import & Export Magento 2 uses. First of all, you can rely on the FTP/SFTP connection which allows leveraging a local or remote server as a point of transfers. The same functionality is possible with a Dropbox account. When you want to transfer data to your website, a direct URL is enough. Specify a file address, and the extension will import it. It is also worth mentioning that Improved Import & Export unpacks compressed data automatically, so you don’t have to do that manually. Besides, the Improved Import & Export Magento 2 extension lets you establish a direct API connection between your e-commerce store and other systems. It leverages REST, SOAP, and GraphQL standards to synchronize your website with any third-party platforms. As you can see, the only possible way to import and export Page builder data, CMS blocks and CMS pages, to and from Magento 2 is represented by our extension. The Improved Import & Export module lets you achieve this goal is the easiest manner.